Dual SIM phones from Samsung Electronics Co. Ltd. have made a big name in the dual SIM zonre in Indian handset market. Keeping in mind their good will in the market, Samsung has plans to introduce some new handsets with innovative features. Samsung, thereby, has launched three new dual SIM handsets in India. 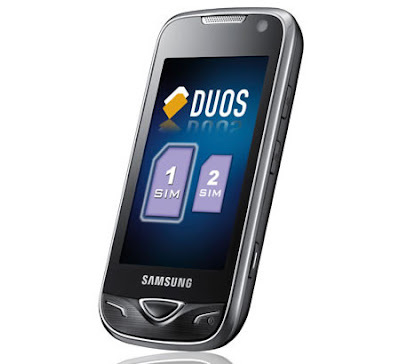 These are Samsung Star Duos (GT-B7722), India’s first 3G and 2G touch dual-SIM active phone and the two in the Samsung Guru series, the Guru Dual 25 (GT-E1225) and Guru Dual 26 (GT-E1252). Samsung phones will benefit the users and buyers beautifully as these offer Dual-SIM offerings like the Dual-SIM active touch, standby and dual-SIM shift advantage. let’s give a glimpse to the Samsung Star Duos. It is the first (3G + 2G) dual-standby touch phone of India. It is a boon for those who seek full-touch functionality in their handset. What this implies is that the user can switch between 3G & 2G (HSDPA + EDGE) to make personal and professional lives more manageable and independent. This switching doesn’t require the re-powering of the handset. The WAP/MMS/Email browser keeps the user connected on the move. The inbuilt touch helps in carrying out mobile tasks like IM and accessing mobile applications etc. instantly. There are dedicated widgets that work on both the SIM’s. Also there is 3 page Menu besides a Touchwiz 2.0 UI for effortless navigation. The features and tools for the business class users in Samsung Star Duos includes a mobile office. Active Sync updates emails from the desktop to the user’s mobile and these can be viewed in MS office, PDF etc, with the help of document viewer. Phone Book organizes and stores 2000 contacts. There is a multi-language dictionary also. In offline mode, user can turn off the phone while continuing work on other functions. The Sound Alive feature with FindMusic software tracks new song titles for downloading. Bluetooth 2.1 with A2DP let users enjoy music on wireless headset. The phone comes with 250 MB of internal memory, expandable up to 16 GB. The enhanced connectivity options includes Wi-Fi that let users upload photos and videos to social networking sites like Facebook, Picasa and Flickr. Priced at Rs.12,300, Star Duos (GT-B7722) gives facility of 5MP camera with LED and seemless chat oppurtunities on its multi-IM. 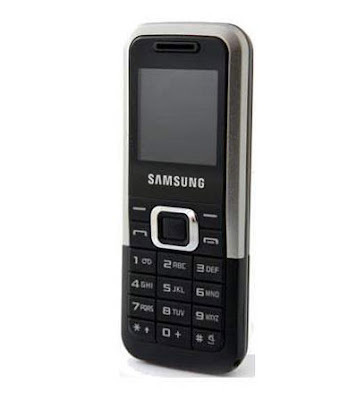 The Samsung Guru Dual 25 and Samsung Guru Dual 26 (GT-E1252) offers all the benefits of the Samsung Guru series phone. These dual SIM handsets are laid out with features as stereo FM, Torch, support for nine regional languages and capacious phonebook and SMS memory that ably stores up to 1000. The Guru Dual 25 offers dual-SIM shift feature just lets users use one SIM at a time but switchinh is easy as per the need. The dual-SIM standby feature of Samsung Guru Dual 26 let users access two different networks for better coverage and best call rates. Both phones have great ergonomy and boasts of 1.8" and 2.0" screen respectively with QVGA resolution. GT-E1225 is priced at Rs. 2,020 in India and the Samsung Guru Dual 26 is priced at Rs. 2,240. Cool features as bike mode and SOS messages are pre-loaded in both the new Guru series phone.